Howard is the leader of Sullivan's Capital Markets Group. 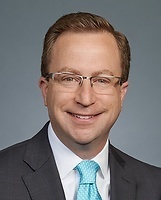 He specializes in counseling both public and private companies involved in equity and debt financings and ongoing corporate governance and disclosure matters, stock exchange listing standards and Sarbanes-Oxley Act and Dodd-Frank Act compliance. He also advises Israeli and other international companies that seek to have their securities traded in the United States, as well as real estate investment trusts that engage in securities offerings and governance initiatives. In addition, Howard works with clients on mergers and acquisitions, capital raising and general corporate matters. He has written articles and spoken on many topics including Sarbanes-Oxley, Dodd-Frank and a range of securities law issues impacting U.S. and foreign companies. He is also the editor of The SEC Pulse, a blog that provides updates and commentary from our Capital Markets Group on issues affecting publicly traded and privately owned businesses, investment banks and foreign companies who trade or raise capital in the United States, and boards of directors and company officers in securities transactions and corporate governance matters. Facing Business and Compliance Obstacles - and How to Avoid them in the First Place! Visit our "SEC Pulse" blog for updates and commentary from our Capital Markets Group.